Today’s announcement of AgustaWestland’s successful Regional Growth Fund (RGF) bid has been warmly received in Cornwall. It was revealed today that the helicopter company is to receive £46M from the Government’s RGF scheme. And details of the RGF bid identify a significant expansion of AgustaWestland’s Operational Flight Training Centre (OFTC) at Newquay Cornwall Airport. 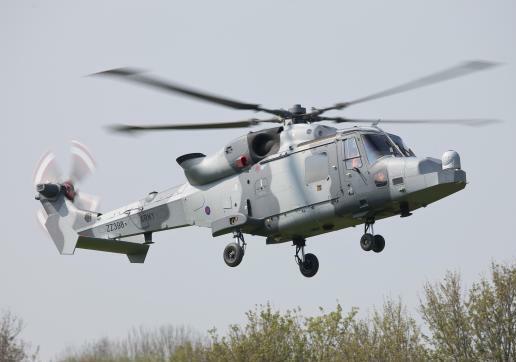 The company’s expansion plans at the Enterprise Zone Aerohub at Newquay Cornwall Airport will increase capacity and capability across its military and new (UK) civil platforms for air crew, pilot and engineering training and will create additional high value employment in Cornwall. Commenting on the announcement, the airport’s MD, Al Titterington, said: “AgustaWestland is a key partner of the airport and we have been working vigorously with them over the last 12 months to expand their operations at the airport. Chris Pomfret, chairman of the Cornwall & Isles of Scilly Local Enterprise Partnership (LEP), added: “AgustaWestland is a global company and their commitment to expand in Cornwall illustrates the value of aerospace and underlines our Enterprise Zone vision, for creating an aerospace cluster at Aerohub.